Demonetisation was purportedly ordered to fight black money, render counterfeit currency unusable, and choke terror-funding. How much of that did demonetisation really accomplish, while causing so much pain to so many? 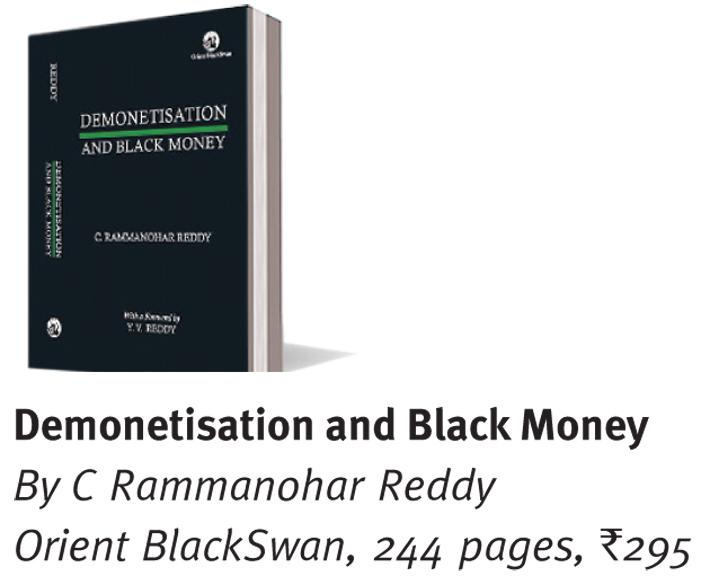 That is the question C Rammanohar Reddy, an economist who edited the sober, solid and influential Economic and Political Weekly (EPW) for over a decade, tries to answer in his new book Demonetisation and Black Money. Reddy’s book dissects the rationale, design and implementation of demonetisation and the suspect mutation of the narrative towards going cashless (or, as one of the chapters is titled, “promotion of a ‘less-cash’ economy”). In short chapters, the book explains how the black economy is not just about cash – and reasons that striking at cash alone, as demonetisation did, was futile. Reddy is now readers editor at Scroll.in, an online news portal. 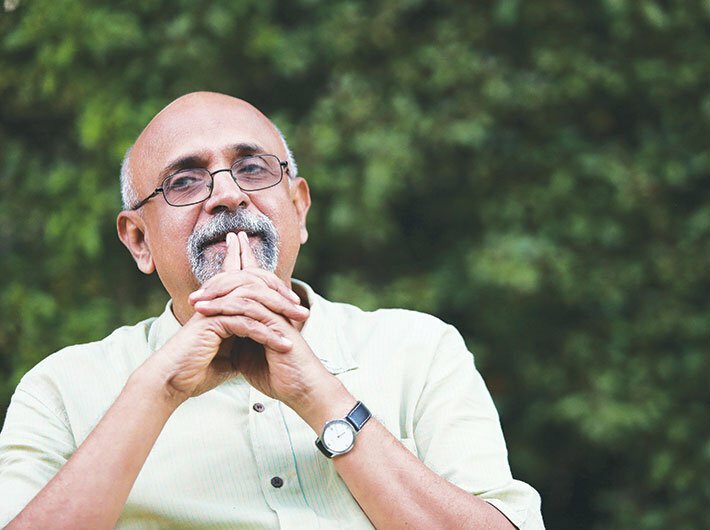 In an interview with Sneh Singh, he talks about demonetisation, the Left, and journalism. Demonetisation has been nearly unanimously junked by all experts, for not serving its purpose, changing goalposts, and the price the economy is paying. Yet, anecdotal accounts suggest that people weren’t averse to the idea. Now, we have an election result (Uttar Pradesh) too. How do you make sense of this popular support for demonetisation? Looking back now, after the Uttar Pradesh elections, and even the Maharashtra byelections and other election results, one notices that from the beginning, while people were suffering, they weren’t expressing any anger. There was no mass protest, the opposition parties found it difficult to take people to the streets to protest. The prime minister said that those who said demonetisation was wrong were corrupt. Therefore, criticism of demonetisation, especially in the political sphere, was not properly articulated; this made the other message dominant. The opposition was not able to put across a strong argument other than that demonetisation was wrong. From the beginning, people were feeling that it was okay even if we have to suffer, because this is being done to catch the corrupt and the crooked; so that was the argument given by the government, and the masses accepted it, and that, I think, has continued to hold. So, while the masses went through the suffering, they thought it was for a larger good. After three months, I might disagree and say demonetisation was not able to curb black money. Yet the brilliance of the government and the prime minister is that they were able to sell demonetisation and it was accepted by people at large – even though I disagree with the decision of demonetisation. I have had to argue in the book why it was wrong and why it will not do much for black money. Yet people have supported it and more than supporting it; people see it as if the government is doing something to catch the guilty. But what will happen after six months, when no one is found guilty or the corrupt are not brought to trial? I don’t know now. But, as of now, people have accepted that the argument that this measure has been taken to target the corrupt and unearth black money. Given the situation post-demonetisation, taking it as a fait accompli, what should be done to fight the black economy? What complementary steps can still make good of this policy fiasco, so to say? The unfortunate thing is that, in our public policy, we always look for magic bullets or a single policy to solve all our problems. In a similar manner, demonetisation was seen as a single solution for black money. But corruption and black money have become so much a part of our society and economy that it is not easy to combat it with a single policy. Therefore, in the book, I have illustrated a few steps that can be taken. For example, there’s a strong link between business, politics and black money. There are so many politicians who are businessmen and so many businessmen in politics. This makes for no separation when it comes to conflict of interest, allowing black money to be a part of both business and politics. Firstly, the government should look into how to separate politics and business. How do we have rules on conflict of interest? How do we prevent the use of black money in elections? Secondly, there are already certain legislative measures on paper but no action has been taken. For instance, the Lokpal law – there is a law enacted on it but the government has done nothing. Similarly, the Benami Property Act was passed in 1988 but no government has done anything. But due credit must be given to the present government, which has amended the Act, but as of now, it has not notified any rules [to bring the act into effect]. Likewise, one can identify a series of measures, each of which will add up to fight the black economy. But if we look at a single dramatical solution – that’s not going to work or have an impact. However, the government did mention that it was going to take a series of steps against black money and demonetisation was just the first one...but where are the others? The only measure post-demonetisation taken by the government was against shell companies. Otherwise, it has not done anything. You are a former editor of EPW and known for your leftist views. Putting the two facts together, let me ask this: post-liberalisation, after 1991, there is a vacuum in political space for representing those who are bearing the brunt of reforms and the Left should have naturally taken that space. Why has it failed to connect with the masses? For example, it has been said that what the Anna movement and AAP have done should have been better done by the CPI(M) and the CPI. It is true there is a vacuum in political space from the side of the Left. Perhaps it is because the Left did not have its own independent programme of action. They have been only talking about their older plans. One could trace that they have lost their popularity because they have not been able to put across the message in the manner they used to 20-30 years ago. Definitely, this increasing disconnect is because the Left parties’ plans and programmes don’t address the problems of the people. And the masses feel that they have been saying the same thing for so many years. I am not a student of the Left parties, but we all know that they are much weaker and they do not have new ideas. This is not just an Indian phenomenon; rather, a global one. So the failure of the Left is in not being able to think along different lines and offer a different approach. You edited a Left-liberal journal for over a decade. This decade witnessed massive changes in the way journalism is practised in India. What are your key observations on these changes in journalism? Yes, I have seen change – two kinds of change – in the past 30 years. When I started off, there were only a few newspapers; today, there is so much media. But now, while there is more media, it is often of less quality. One reason is, because of competition, the media thinks it must be the ‘first’ and it must come out with sensational and breaking news. As a result, there is less adherence to the norms of journalism. Besides, media exists within society. If there is a change in society, one can see the reflection of it in the media as well. For instance, the emergence of extreme nationalism has become part of society, and the press is going along with it. It is a failure but it happens everywhere. Perhaps, it is more so in India than in any other democracy. Look at the United States of America; after Donald Trump got elected, some media organisations renewed their attack on Trump. Here, in India, it is not the same. This might be due to a fear of being inquired into or the fear of intelligence (agencies). Overall, there is more media, there is more vibrancy but also some weakness and failure. And within that, there are some strong publications and some strong journalists. There is a mixture of both good and bad, but unfortunately, the not-so-good is becoming more prominent. All in the search for eyeballs, audiences, circulations, TRP ratings – which is mainly done to get advertisements. In this way, journalism is losing what is called ‘public purpose’. But still, there are pockets of publication which still stand by their value system. However, today there is less and less of good journalism and I hope it is a passing phase.